Hood, Ken. Demon Sword . HarperPrism 1995. What if: Ogedai Khan did not die in 1241 and the Mongols continued their advance into and conquest of Europe. Also, Christianity never grew to become a major religion and many towns rely on the benevolence of a local spirit. 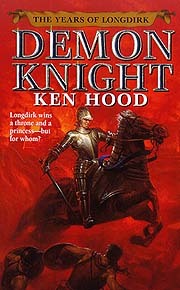 Series note: Trilogy consisting of Demon Sword , Demon Rider , and Demon Knight . 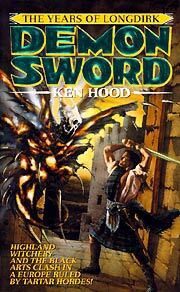 Comments: Ken Hood is a pseudonym for Dave Duncan. Summary: In 1519, a young Scotsman finds himself the quarry of an English hexer, and apparently also possessed by a demon. Series note: First volume of The Years of Longdirk. Summary: The further adventures of Longdirk in Spain, traveling through land devastated by the Fiend now ruling England and suffering visions of a future in which he will be captured by the Inquisition. Series note: Second volume of The Years of Longdirk. Hood, Ken. Demon Knight . HarperPrism 1998. Summary: While preparing for the final battle against the Fiend, Longdirk is embroiled in Florentine politics. Series note: Third volume of The Years of Longdirk.